Conventional wisdom would have us assume that anyone directing a documentary has at least scant knowledge of the subject being explored. Asked how much she knew about flamenco music before beginning her film project, Katina Dunn was pretty forthcomng about it. “Nothing. Not a thing,” she said. A journalist by trade, the Chicago native happened into a small club in Hollywood in 2010, and was instantly enchanted by a group of flamenco musicians and dancer Mizuho Sato. VIDEO: Jose Tanaka performs at the Rafu Shimpo offices. 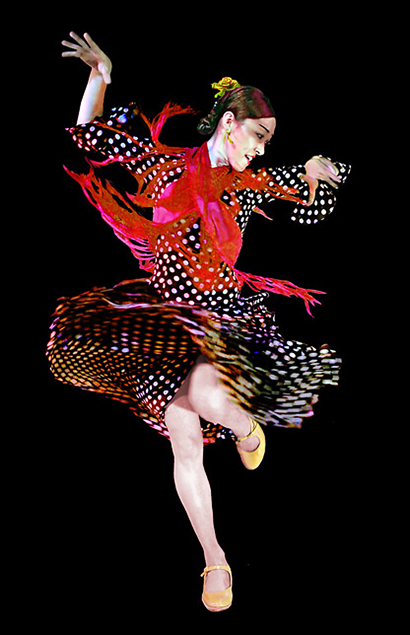 Dunn’s film explores the reach of flamenco into cultures outside of its birthplace in the Andalusia region of southern Spain. The folk music – whose name translates roughly to “the folklore of the flame” – has enjoyed great popularity in Japan, where it is said there are more flamenco schools than in Spain. Tanaka, 44, said his parents were part of the generation that first embraced flamenco, and his given name is a direct result of their enthusiasm. He endured endless lessons, and when he was 18, his mother suggested he go study guitar in Spain. Young Jose had other ideas. “I said, ‘Screw that, I’m going to Hollywood!’ I wanted to be a rock star,” he explained. Tanaka was working as a guitar instructor at a small music school shortly after arriving in L.A. in 1987. He said he soon became disillusioned with the monotony of his job. All the while, his mother back in his hometown of Kyoto continued to send news of up-and-coming flamenco artists. 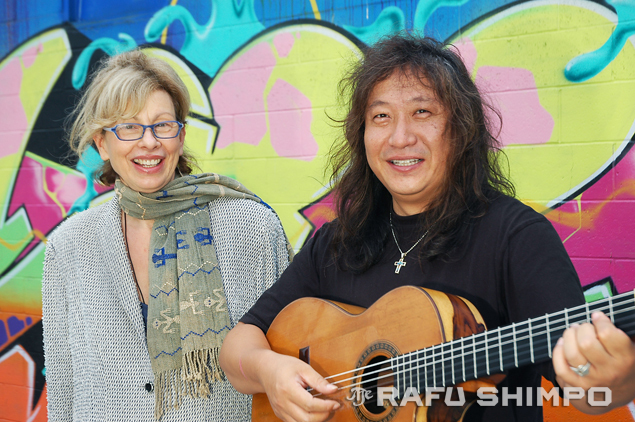 But it wasn’t until the renowned Spanish guitarist Paco de Lucía came to L.A. for a concert that the flamenco fire was rekindled in Tanaka’s heart. “All the memories started to come back. There were a lot of mixed feelings, but I realized how much I missed flamenco. I was really brought to tears,” he said. “Kumpanía” also features Sato, a native of Iwate Prefecture who teaches dance and has been performing with Tanaka’s group since 2004. The Fountain Theatre is located at 5060 Fountain Ave. in Hollywood. Call (323) 663-1525 for information.